North of your expectations and high above it all. Featuring luxury residences and penthouses.  With its striking design and spectacular views, North Water is the new Chicago landmark above the Loews Hotel that puts you on top of luxury, and inside a new addition to the city skyline. Studio, one, two and three bedroom residences and penthouses raise the bar for cosmopolitan living, keeping you close to everything the city has to offer. Enjoy a lavish life high in the sky that's connected to the action below. From the moment you move into any of our Chicago apartments for rent, you'll gain access to the contemporary living experience you've been looking for all along. Reclaim the modern convenience you deserve in your day-to-day life. Enjoy sustainable living at North Water where the building has been awarded three Green Globes through the Green Building Initiative.